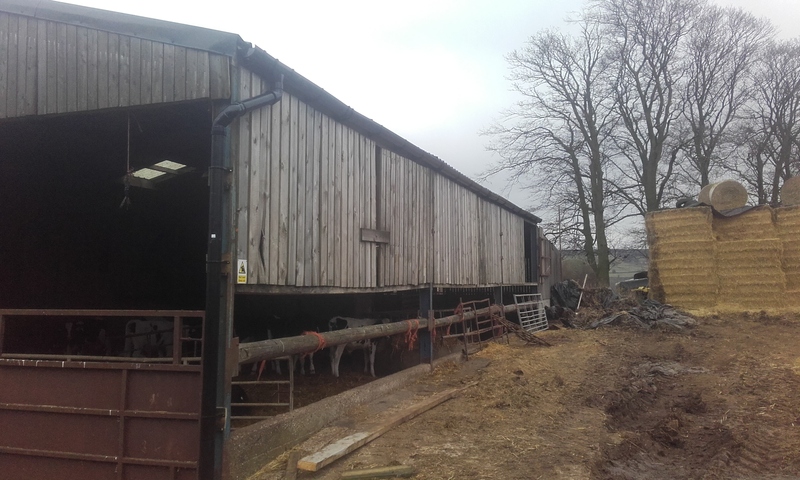 New guttering and a downpipe was installed on the livestock housing building to collect the clean rainwater landing on the roof. The water can then be conveyed straight to a clean water drainage system and to the river.. Copyright NYMNPA.